Spring is here, and whether that means getting out and enjoying leisurely afternoons in the park or lacing up your running shoes, Holistic Care Approach can help you look and feel your best for the warm weather. Visit this month and Get $100 Off any Full-Face Broadband Light Treatment including Photofacials and Skin Tyte treatments, and athletes get a Free Natural Lip Balm with a Sports Massage. Be sure to check out our wide-selection of natural health and wellness products this month too! We’re offering 10% Off Any One Item now through April 30th! Mark your calendars for Guided Meditation with Laurie on Wednesday, April 3rd and remember to sign up for a Free Mindfulness Info Session. Take a look at our monthly calendar for more upcoming events, and be sure to review our services or schedule an appointment online. Enjoy Spring Looking & Feeling Your Best with BBL! Spring has arrived in West Michigan, and Holistic Care Approach has the perfect solution for clearing up winter-related skin concerns: Photofacials! 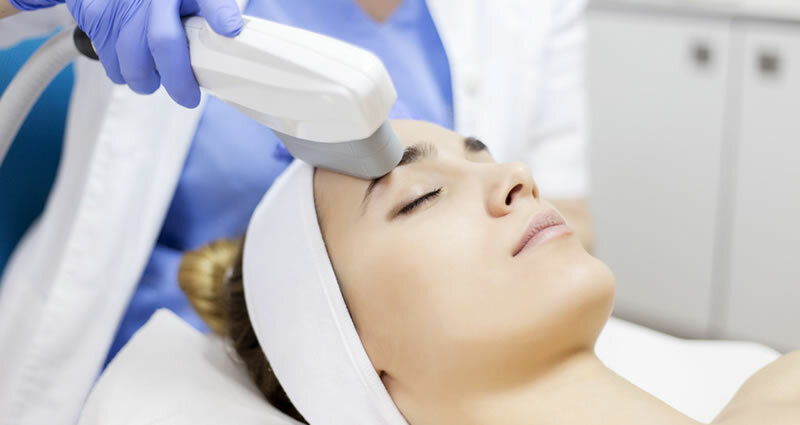 Harnessing the power of Broadband Light, our photofacial treatments will have you looking and feeling your best while enjoying the warmer weather. Using Sciton technology, Broadband Light treatments concentrate light energy in intermittent bursts to stimulate or jump-start the production of collagen within your skin. This process naturally restores your skin’s firmness, elasticity, and tone. It’s non-invasive, painless, and many people see results after just one session. Broadband Light is effective for clearing up acne, rosacea, uneven pigmentation, and more. Our SkinTyte treatments leverage the same BBL technology to reduce fine lines, wrinkles, and restore your skin’s elasticity. BBL can also be used as an alternative to laser hair removal! If you would like to learn more about our Broadband Light treatments, visit the Photofacial Page on our website or Schedule a Free Skin Care Consultation today! If you have any questions, please feel free to Contact Us. Get $100 Off any Full-Face BBL Treatment this April! Now that the weather is warming up, many are taking advantage of the sunshine to get out and get moving! To help all athletes in West Michigan perform their best, Holistic Care Approach offers Sports Massage services to casual trainers and pro athletes. Athletic or Sports Massage is a special type of massage that either prepares the body for the strain of training and competition, or helps the body recover afterward. Sports Massage is effective at relieving tension, fatigue, and swelling. It promotes flexibility, and can help to prevent injuries. If you do become injured while training, Sports Massage can also be employed to speed up recovery. To learn more about our massage services for athletes, please feel free to Contact Us or visit our Sports Massage page. April Special: Athletes get a Free Lip Balm with Massage! At Holistic Care Approach we care about the whole you, in mind, body and spirit. Many of our programs involve nutrition and education, so to help people live a happier, healthier life we provide a wide selection of carefully-selected products in our store. Everything from natural skin care to supplements to essential oils and literature are available to purchase, and if you have any questions our staff will be more than happy to help. Stop by for a visit this month and Save 10% on Any Product on display in our facility, and please feel free to Contact Us if you have any questions. Save 10% on Any One Product This Month at HCA! Adaptive Yoga for People with Parkinson’s: Mondays from 1pm-2:15pm – April 1st, 8th, 15th, 22nd and 29th. Free Info Sessions This Month! Save the date(s) for free information sessions on the Mindfulness Based Stress Reduction program, which is an 8-week stress-reduction course developed at the University of Massachusetts Medical School. Attendance is strongly recommended before enrollment. Monday, April 1st at 6:30 p.m.
Wednesday, April 3rd at 9:30 a.m.
Mindfulness techniques help you relieve stress in all areas of your life, including work stress, interpersonal stress, parenting stress, and anything life throws at you! The next two classes will begin on Monday, April 8th at 6:30 p.m. and Wednesday, April 10th at 9:30 a.m. Click the link below to reserve your spot today! We’re pleased to announce two new upcoming mindfulness classes for teens and pre-teens at Holistic Care Approach! These classes are led by expert instructor Cheryl Blackington and aim to teach teenagers the value of introspection and being aware of their thoughts and feelings. Get more info below or download the flyer here. · Cost is $25.00 / Scholarships are available. This upcoming yoga class is designed specifically for people with Parkinson’s and their caregivers. This 20-week session is suitable to all levels of participants. No experience necessary. Classes will meet on Mondays from 1pm – 2:15 pm. · More dates to follow. Classes are taught by Katherine Florentine, BS, ERYT500, and Deanie Pettengill, BS, RYT500. Contact Katherine.florentine@gmail.com, or call 616-481-3091 for info.